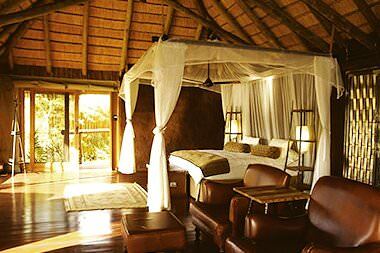 The private lodges of the Kruger National Park enjoy prime positions in exclusive wilderness concessions. 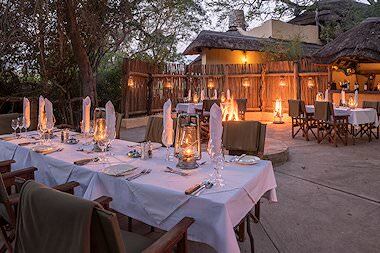 Camp Shawu is an intimate four star camp tucked away deep in the belly of the southern Kruger National Park. With only five luxurious open-plan suites, Camp Shawu never hosts more than 10 guests at a time, lending an air of exclusivity to the experience. The camp overlooks the Mpanamana Dam, where animals often convene. Camp Shonga is Champ Shawu's sister camp. Like Shawu, Shonga also consists of only five guest units. However, Camp Shonga's suites have been constructed in a luxury tented-style for a more rustic and authentic safari atmosphere. Guests enjoy twice daily game drives in open-air 4x4 vehicles. 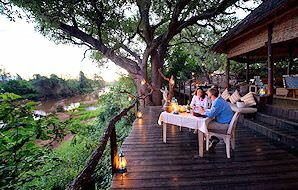 Hamiltons Tented Camp is one of the finest four star properties in the Greater Kruger area. Its 'Out of Africa' tented camp ambience is inherently romantic, and the game viewing within the concession is incredibly rewarding. Here, in the central Kruger, you will find many herds and the predators that pursue them. 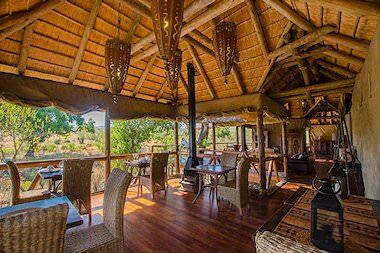 Hoyo Hoyo Safari Lodge, Hamiltons's sister lodge, offers fantastic value-for-money four-star safari accommodation. 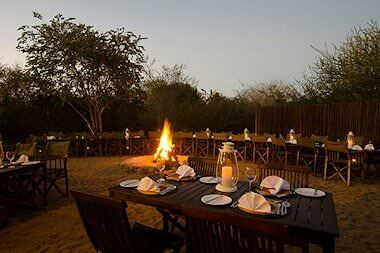 The Big Five game viewing experience at Hoyo Hoyo is enhanced by the lodge's 'Tsonga village' style. Even staff members dress traditionally to augment the unique cultural experience. Imbali Safari Lodge is the third lodge on the concession. The concession on which Hamiltons, Hoyo Hoyo and Imbali are located stretches across 10 000 hectares of prime Kruger real estate, where only the lodges' vehicles are allowed to conduct game drives. Imbali hosts twelve spacious suites with private plunge pools or Jacuzzis. 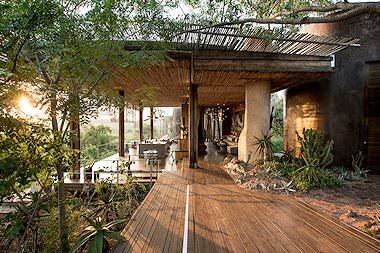 Jock Safari Lodge is a plush five star property in the southern Kruger National Park. Unlike most lodges in Kruger, Jock is well-equipped for family safaris, offering programs aimed specifically at children. In addition to open 4x4 game drives, guests can enjoy San rock art excursions, guided bush walks and stargazing. Lion Sands Narina Lodge forms part of the exclusive Lion Sands collection, which boasts some of the finest properties in the Greater Kruger. Narina hosts nine ultra-luxurious suites with spacious private decks and plunge pools. 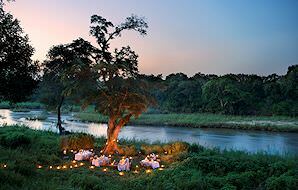 All suites enjoy stunning views of the prolific Sabie River, where animals often come to drink. Lion Sands Tinga Lodge is Narina's sister lodge. The lodges are very similar in their offerings, as Tinga also boasts nine sumptuous suites with private pools overlooking the Sabie River. Two game drives are conducted daily, with an optional bush walk also available. Only the two lodges' vehicles may traverse the 5000-hectare concession. 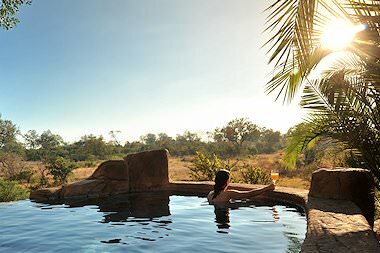 Lukimbi Safari Lodge is a fine five star property hosting 16 suites (twelve Classic and two Premier) in the wildlife-rich southern Kruger National Park. The lodge overlooks the seasonal Lwakahle River. In between open-air 4x4 game drives, guests at Lukimbi can unwind poolside, in the health spa or in the library. 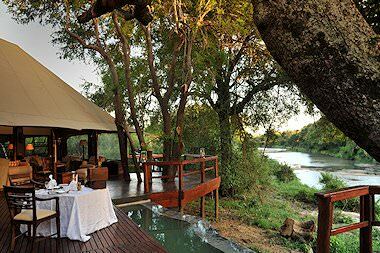 Pafuri Camp is a relatively new offering in the northern Kruger's Makuleke concession. The camp is quite extensive, with 19 luxury tents and 7 family tented units. Pafuri overlooks the perennial Luvuvhu River and is a fantastic destination for birders, as the rare Pel's Fishing Owl is often spotted in this area. 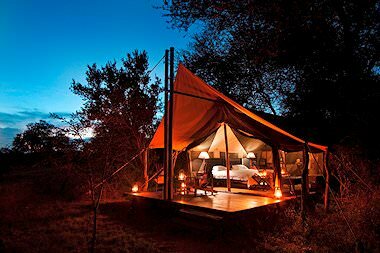 Plains Camp is a walking safari-oriented camp in the heart of the Kruger National Park. 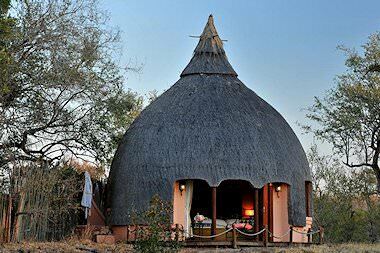 Guests are accommodated in four African explorer-style tents. Days are devoted to exploring the 15 000-hectare concession on foot, learning more about this storied wilderness and its captivating inhabitants. Rhino Post Safari Lodge is Plains Camp's luxurious sister lodge and offers traditional game viewing in open-air 4x4 vehicles. The five star lodge hosts eight luxury units within a concession that shares an unfenced border with Mala Mala and Sabi Sand, offering some of the most rewarding sighting opportunities in the park. Shishangeni is a spacious four star lodge that can host up to 44 guests. 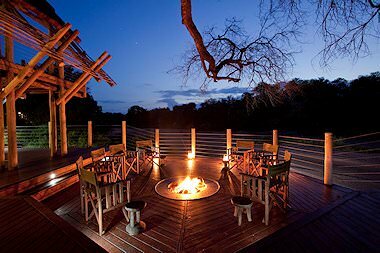 Located in the southern Kruger National Park, the game viewing opportunities on its 15 000-hectare concession are superb. Pampering spa treatments are available, as well as a swimming pool, gymnasium, library and conference facilities. An accolade shared with its sister lodge Singita Sweni, Singita Lebombo is the most extravagant private safari lodge in the Kruger National Park. The opulent property offers 15 loft-style suites equipped with every imaginable luxury. In addition to game drives, guests may partake in guided bush walks, fishing and even archery. 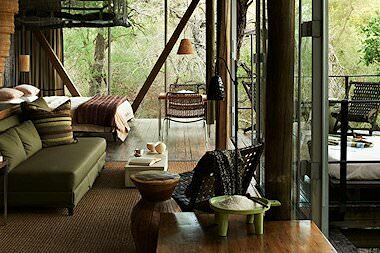 Singita Sweni has a luxury treehouse atmosphere. 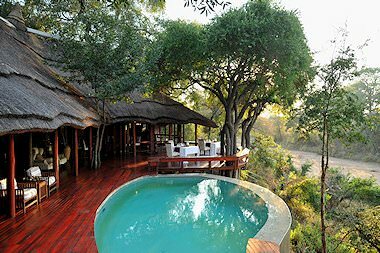 The six glass-fronted suites appear to hover above the treetops and all overlook the Sweni River, where animals often emerge to drink. 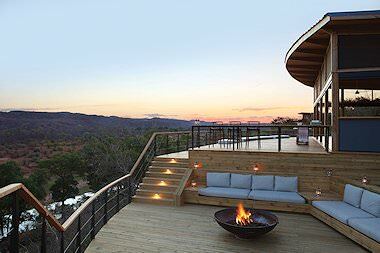 The lodge is inherently sumptuous, offering everything from open-air game drives to guided mountain biking. An on-site spa and wine cellar enhance the experience. The Outpost is inarguably the private Kruger Park lodge with the most dramatic views. Perched on a clifftop in a 28 000-hectare private concession in the northern Kruger, The Outpost offers unique sightings on game drives. Bush walks are also on offer, and explore striking locations like Lanner Gorge. Travel to South Africa for a comprehensive African vacation. Botswana's wilderness areas are still magnificently wild and barely touched by man. Namibia's top safari destination is the wildlife-rich Etosha National Park. Zambia is a paradise for wildlife enthusiasts, home to safari areas like Kafue. Visit the Victoria Falls in Zimbabwe for an exciting range of vacation activities. Mozambique is one of the world's finest diving and snorkeling destinations. The Kruger National Park is South Africa's most storied wilderness area, capturing the hearts and souls of all who travel here on safari. 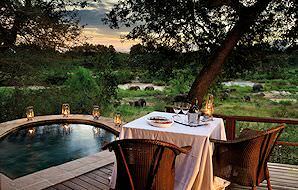 The Sabi Sand Private Game Reserve is home to some of the most exquisite luxury safari lodges on the continent. Cape Town offers the most beguiling blend of seaside splendor, mountainous verdure and historic city intrigue. The Garden Route's most popular destinations include Knysna - famous for its sparkling lagoon - and Plett, with its fine array of beaches.